Played piano with my Mom, Marcia at the Kemp row house on Symington Avenue in West Baltimore, in the neighborhood called Paradise. Here’s a photo. The house on the right with the big tree in front is where I grew up. I make my first guitar-like instrument in Ms, Schleicher’s fourth grade elementary school class. My first concert. My Dad’s bosses daughter wanted to go see the Beatles and she didn’t have a date. She was fourteen. My Dad mentioned to his boss that I was a fan and that I would love to go. It was not only my first concert but my first date. I was nine. The concert was at the Baltimore Civic Center. We had dinner at Gino’s. Ms. Hopkins, my fifth grade music teacher suggests that I study coronet. Fortunately there is a band rental store in Catonsville, Nelson Knode’s. My Dad, Bill Kemp Jr. has Bill Kemp & the Nutones rehearsals in the basement at Symington Avenue. They are a quartet featuring piano, drums, bass and vocals. My Dad is the singer and they do standards, popular and Tin Pan Alley songs. They perform at clubs in Baltimore and on occasion my brother and I got to with our Mom and drink Shirley Temples. It was also around this time that I discovered my introduction to recording in the garage. 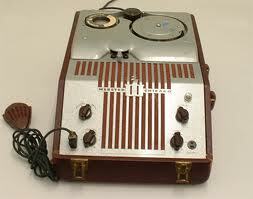 A wire recorder. My grandfather was a lawyer and he used it to record spoken word from clients I guess. I remember recording guitar stuff on the wire recorder and spending hours in fascination about the things the recorder could do. The mic looked a bit like the shape of a sea shell. Here’s a photo of the recorder my grandfather had. I buy my first guitar ,an electric, a Teisco Del Ray . I take my first guitar lesson with Ronnie Cook at Bill’s Music House in Catonsville. The first song I learn is Ode to Billy Joe. The film Bonnie and Clyde is released and I go to the Westway movie theater and see the film fourteen times mostly to hear the music of Lester Flatt & Earl Scruggs. I go back to Bill’s Music House and buy a Harmony 5-String banjo. I teach my younger brother, Doug, a few guitar chords and thus begins my performance career. As a duo we played coffee houses and the library in Catonsville. We played traditional music and songs by Woody Guthrie, Lead Belly and Bob Dylan. It was around this time I join the first band I was ever in, Revolution. (wasn’t that in the air in 1968?) Years later Prince borrowed our name for his band. It featured Ricky Franz on drums, David “Dinky” Mahaffey on bass and I played guitar. We all lived in Catonsville and we practiced at Ricky’s house in the basement. This was not a “row’ home it was a single detached block foundation, wood or vinyl sided house just on the west side of the Baltimore Beltway 695, a good mile or two from my house. We weren’t together very long, maybe a few months. We played mostly for ourselves but on occasion there were audience members who knew the secret password to get in to our basement concerts. We played Beatles and Monkees songs. 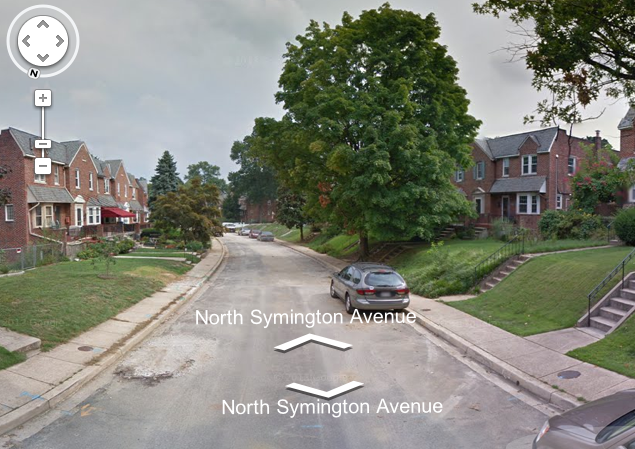 The next musical situation, which was more like a jam, was closer to my house on Symington maybe only four blocks away, just east of the beltway. It was at the home of Spenser Olson. Spenser played bass and he loved the Rolling Stones. This gathering featured another guitarist, Larry, who really knew how to play. And I think the drummer was Phillip Johns. Larry played a semi-hollow body electric, something like a Gibson 335. We would learn songs but we also jammed a lot. Everyone loved the blues and I believe this was the place where I really felt like I started to learn things about music and it’s elements: expression, arranging, melody, harmony and rhythm. I say expression first because these musicians didn’t care so much about getting things exact. They cared about feeling, sound, and especially tone. Spenser’s house was also single detached but was brick, a ranch-style.